Goals are an extremely important factor to pay attention to when trying to push forward and keep yourself moving in a positive direction. The most important thing that you can do for yourself as you align your mind with action is to write down effective goals, I (and many others) call this a personal mission statement. 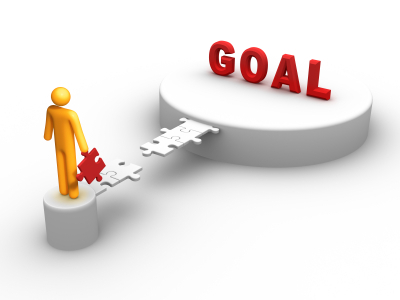 Hopefully you will know the difference between an effective goal and a passive no-good goal by the end of reading this. The idea of setting goals, at least for me, is a bit daunting. It seems like a giant vertical mountain in front of me, and I cannot find the first place to put my foot to start. This is when I take to brainstorming. I once watched a movie where they discussed how to overcome writers block, and the trick was to start from where somebody else has already gone. They used the trick of copying out the first paragraph of a book, and then you shall soon have ideas of your own and continue from there. So the same thing kind of applies here; take a notepad and start writing your general goals like happiness, money and riches, health, etc. Once you get these down on the paper, draw a giant line, and go through each general goal one by one and list off ways that you can attempt to achieve those things. The idea with getting more specific is that you will slowly be working your way into more effective goals, rather than crappy general rules of life goals that give you no direction or specific tasks to perform. So now you have somewhat more specific ways of accomplishing these goals. Things like getting a raise for more money, or spending more time with friends or family to find happiness, or get a significant other to find love. 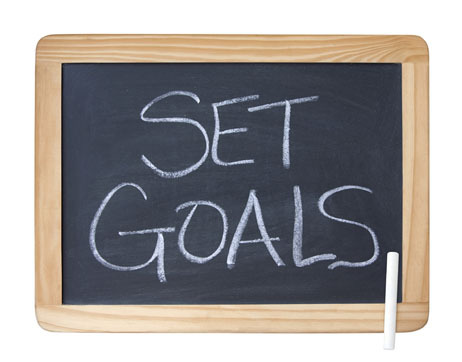 These goals are still too vague and not specific, you need to focus! Start a new piece of paper now and get specific. What tasks do you have to do to get a raise? Think in terms of concrete things that you can get done in a week or so. Something like clean my desk is a good goal because it’s a concrete thing you can do and knock off the list, but something like show initiative at work is not as effective because it still doesn’t tell you what exactly to focus your attention on. If you’re trying to show initiative at work something like ‘solve the problem of never having proper office supplies when you need them’ or ‘initiate a company recycling program’ would be really good things that you could focus your energy towards and really get down to root of the issue, really be able to focus properly. When you get annoyed at a goal or frustrated with the seemingly impossibility of a certain goal, you know you’ve got yourself a worthless goal. Cross it off your list, cut it out, and break that goal down into an effective goal you can see the light with. If you’re setting goals for yourself that doesn’t get you fired up, then your goals are wrong. Get excited, it does take a bit of time to work your way down to the exact specific effective goal, but in the end, it’s so much more effective that its absolutely worth all the effort you will put into refining your path in life. Good luck! 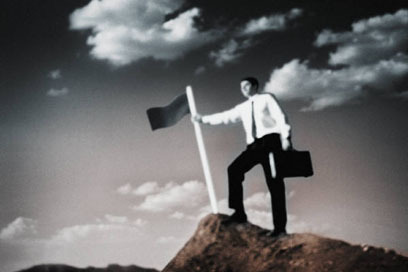 This entry was posted in Success and tagged accomplishing, concrete, create, effective, forward, goal, happiness, idea, initiative, paper, setting goals, specific, tasks, trying, vague, work on them on March 24, 2013 by Mind Soul.